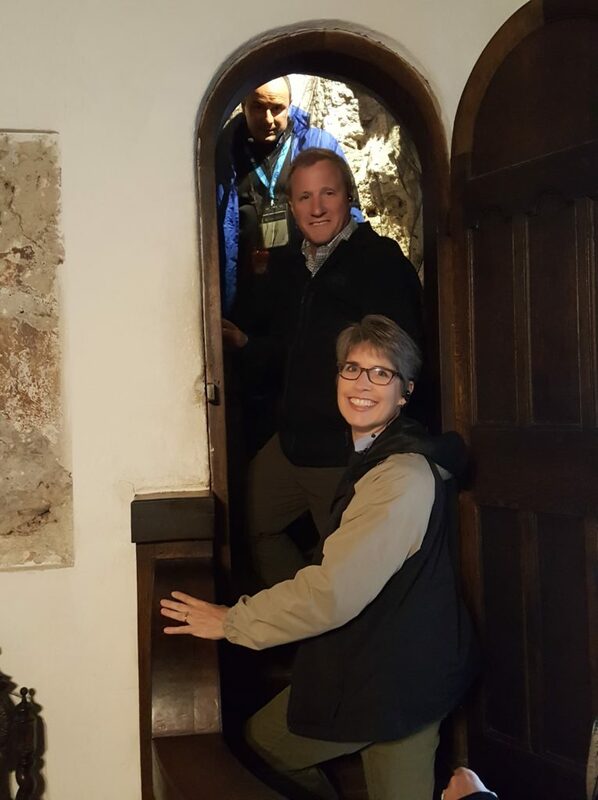 Greg and Terri about to enter the secret passage. 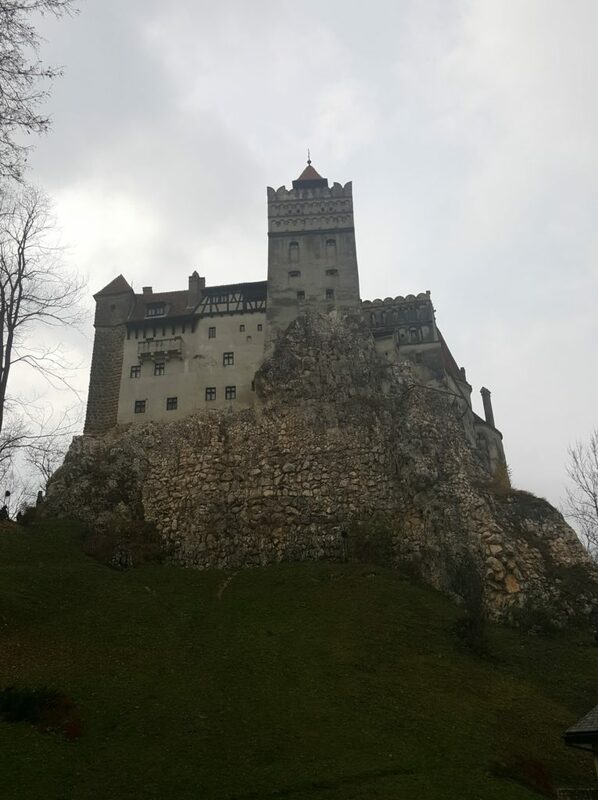 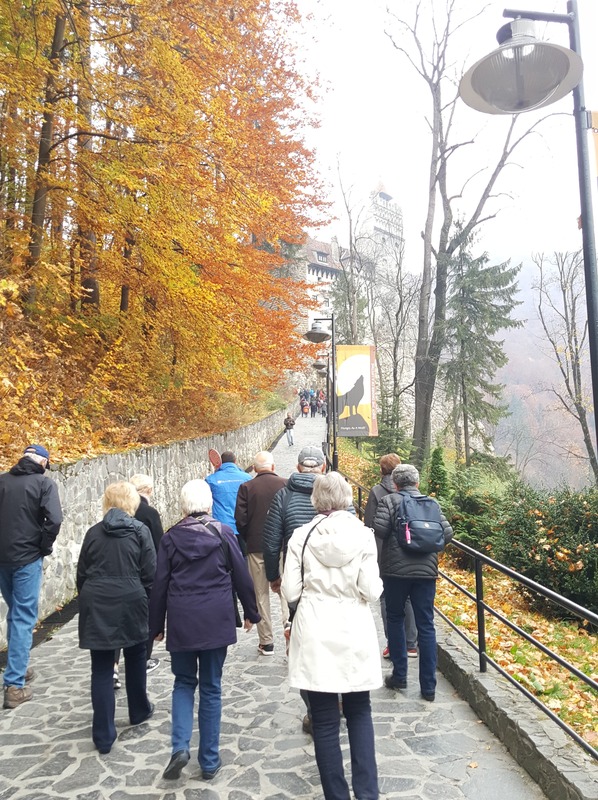 Over 500 years ago, the Bran Castle (more well known as Dracula’s Castle) was constructed and now owned by the Romanian royal family. 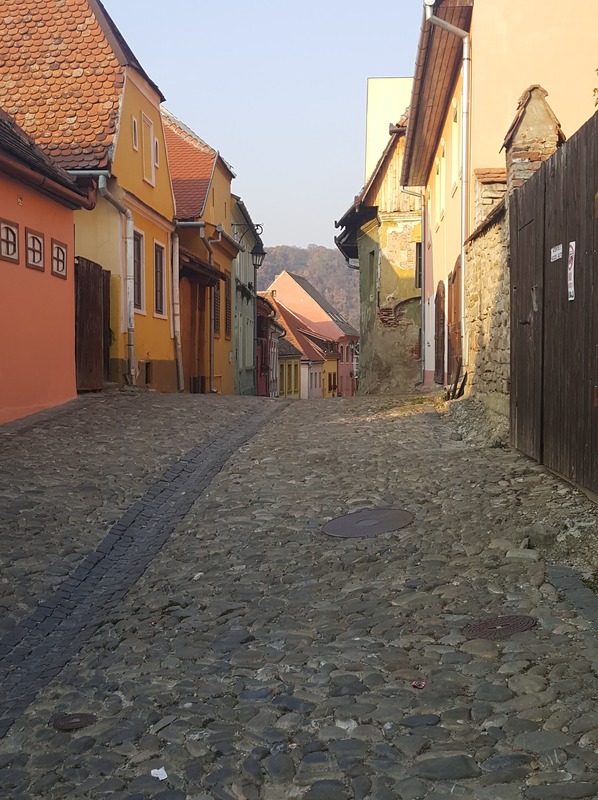 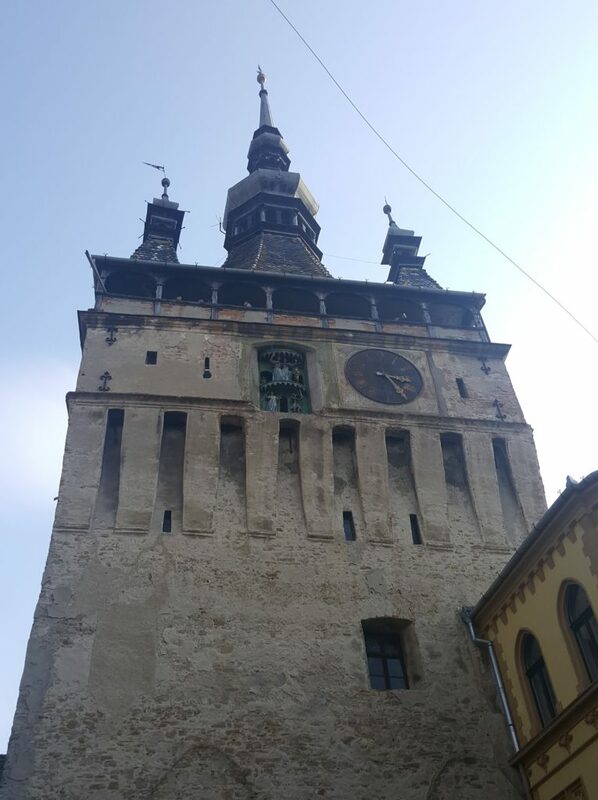 In the afternoon we visited the quaint village of Sighisoara where some of us climbed the ancient (600+ year old) clock tower. 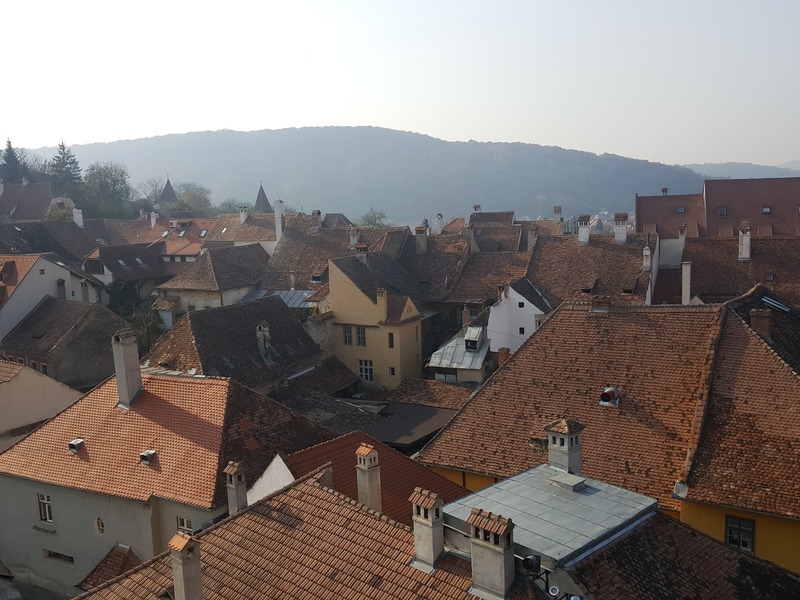 A view from the Sighisoara clock tower. Almost every walking tour included the precarious cobblestone streets with fascinating historic buildings of all colours.